The InterContinental Hotels Group continues to provide luxury hotel accommodation to each corner of the world through its rich historical and geographic heritage. Since its creation in 1946 by John K. Montgomery, the founder of Pan American Airways, the Intercontinental Hotels & Resorts brand, owned by the Intercontinental Hotels Group, has steadily expanded to become the most international brand with over 170 hotels & resorts in over 60 countries. There are currently 30 InterContinental Hotels & Resorts in Europe; at ILTM 204, focus on four of the world’s best Intercontinental Hotel destinations delivering authentic experiences: Davos, Lisbon, Malta and London. 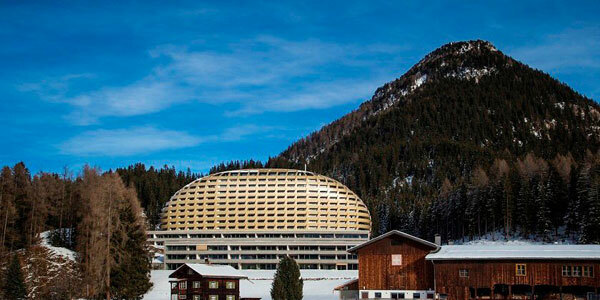 Located in the spectacular Graubünden Alps, at an altitude of 1,600 meters, the InterContinental Davos Resort & Spa resembles a Faberge Egg. Its fascinating oval golden façade, whose modern eye-catching architecture boasts changing effects depending on the light and the vantage point, is hosting a new benchmark of exclusivity and quality, of quiet elegance, privacy and comfort. 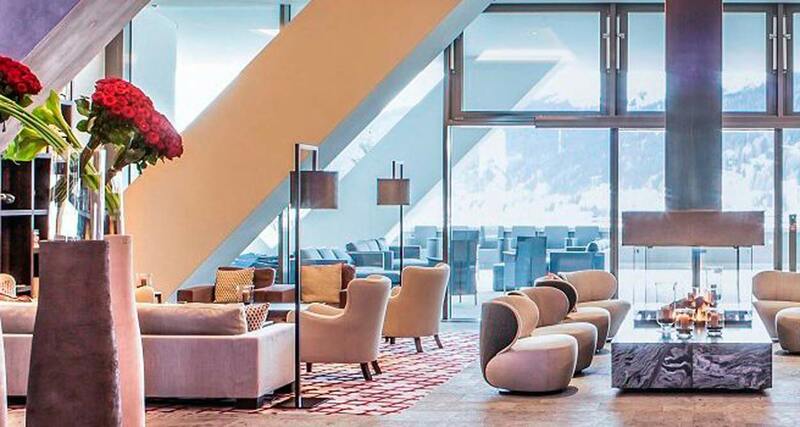 This new retreat redefines the alpine experience with its 216 well-appointed spacious rooms and 25 suites and offers trendsetting dining and lounge experiences in 3 restaurants and 2 bars. With its 9 meeting rooms, the hotel accommodates also business people and congress participants. The well-being area for health and fitness includes a gym, inner and outdoor pools and a whirlpool. For rest, relaxation and pampering, the InterContinental Alpine Spa awaits guests with a sauna, steam bath, 14 treatment rooms and a dedicated spa team. During the alpine summer months, seven top golf greens in the Swiss Alps are promising modern golfing landscapes for the golf enthusiasts. Located near Lisbon’s historic city centre and the financial district, the InterContinental Lisbon is overlooking the Parque Edouardo VII, at five minute walk to Lisbon’s major tourist sites and luxurious Avenida da Liberdade’s high street boutiques and quality restaurants. With its contemporary architecture, discreet refinement and expansive views of the Tagus river, this stylish new addition to InterContinental Hotels and Resorts is the ultimate choice for experiencing Lisbon and the Portuguese heritage. The hotel has undergone a refurbishment of the lobby and public areas to meet the country’s cultural spirit, including Azuleros. The guests can find the culture of Portugal also in the gastronomy and celebrate the City of Seven Hills cuisine at L’Appart restaurant for breakfast, lunch and dinner. As evening falls and the atmosphere softens, Le Ganesh bar lounge is the place to enjoy renowned local wines and spirits. The establishment offers the convenience of free Wi-Fi. Malta a unique Mediterranean island, steeped in 4,000 years of history, with a magnificent capital city, Valletta, a UNESCO World Heritage Site boasting a gorgeous natural harbour. Located in the prime resort of St. Julian’s on St. George’s bay, the InterContinental Malta has 451 guest rooms, 33 suites, 210 double-bedded rooms and offers a private beach as well as a wide choice of wellness and leisure facilities. The hotel is perfectly placed for entertainment and visiting the island’s historic sites, including Valletta and Mdina, the “Silent City”, Malta’s enchanting first capital. The guests can unwind in the panoramic pool, or pamper themselves at the spa or choose from eight restaurants and three bars both indoor or al fresco to experience a range of flavours, from the Orient to the Mediterranean. In addition to its scenic views of St. George’s Bay, the Paranga is one of Malta’s finest seafood restaurants. The Health & Fitness Centre offers a wide range of equipment, 2 squash courts and aerobics studio. The spa is offering an extensive range of treatments including Turkish Hamam. Just outside the hotel, you’ll find an Intercontinental beach club with a large variety of water sports. The concierge can help you chartering a private boat. St. Julian’s bay promenade is offering a full range of restaurants. Located between Mayfair and Knightsbridge, a few steps away from Hyde Park and in view of Buckingham Palace, the InterContinental London Park Lane occupies one of the city’s most prestigious addresses: 1 Hamilton Place, Park Lane. Noblesse oblige, this steeped-in-history London hotel was until 1936 a royal residence, the Queen’s childhood home! The hotel has 447 guest rooms, 60 suites, featured in three elegant styles: standard, executive and luxurious designer suites. Windsors-lovers guests will of course choose the Royal Suite! The suites guests are granted complimentary access to the seventh floor Club InterContinental Lounge. Onsite, a Spa InterContinental is featuring a therapeutic steam temple and a fully-equipped 24-hour Fitness Centre awaits guests for gym or stretching. The hotel has two restaurants, Theo Randall, the ground-floor restaurant, that was voted the ‘finest Italian in London’ and the Cookbook Café, offering seasonal menus. The Tower Of London and Big Ben, Madame Tussauds and Harrods Department Store, the Tate Modern and the Royal Academy of Arts are all within short distance. The InterContinental Park Lane offers event facilities with 16 meeting rooms, 130 sqm of meeting and event spaces, equipped with cutting-edge technologies. The first brand to reward its frequent guests, the InterContinental Hotels & Resorts was recognized as the World’s leading Hotel Brand for four consecutive years by the World Travel Awards.